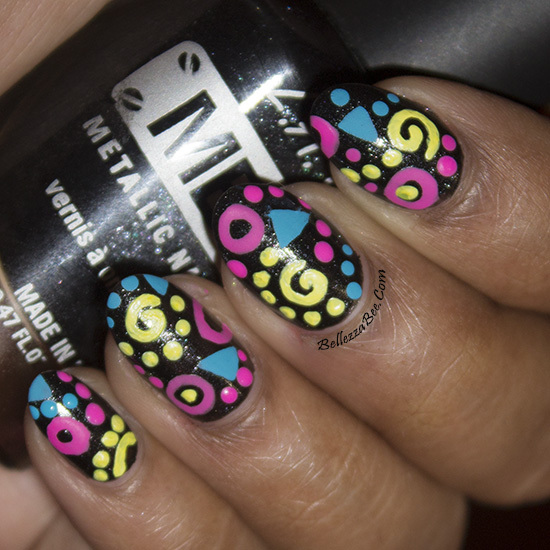 You want some colour today? Here we go! 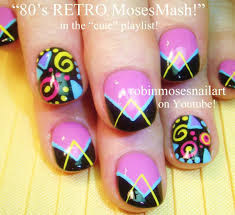 I fell in love with the colourful and retro design by the talented Robin Moses and so decided to use this design for my inspired nail art. 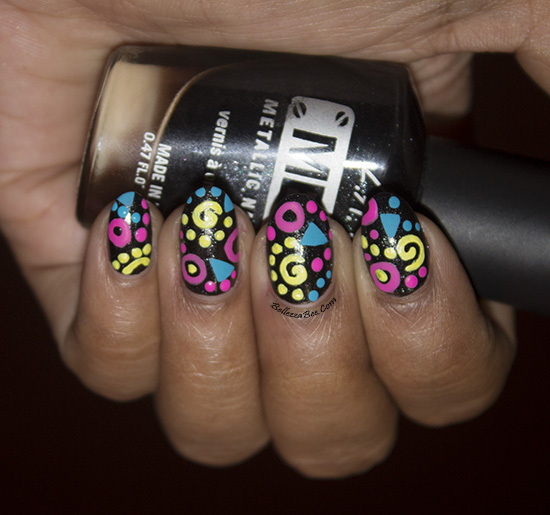 It's simple yet fun and can be done using just a small nail art brush and dotting tool. Easy as pie! 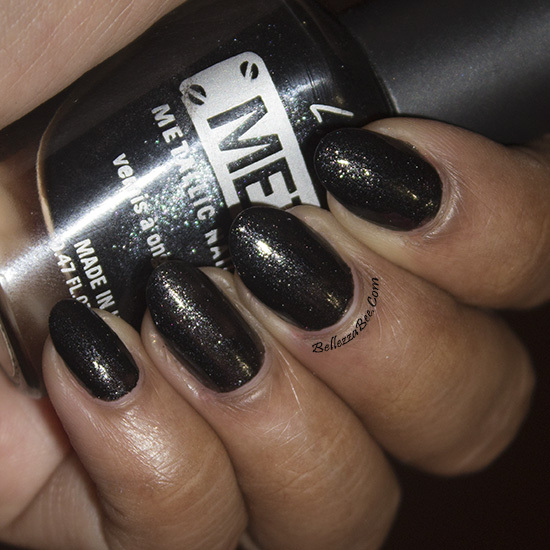 I started off with a black base colour with small silver specks within from L.A Girl called Obsidian. This is from their metal collection. I used two colours for opaqueness.